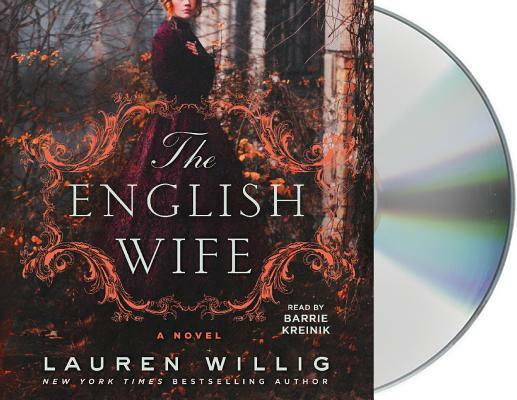 From New York Times bestselling author Lauren Willig comes The English Wife, a scandalous novel set in the Gilded Age full of family secrets, affairs, and even murder. A Book of the Month club pick! Annabelle and Bayard Van Duyvil live a charmed life in New York: he’s the scion of an old Knickerbocker family, she grew up in a Tudor house in England, they had a fairytale romance in London, they have three-year-old twins on whom they dote, and he’s recreated her family home on the banks of the Hudson and named it Illyria. Yes, there are rumors that she’s having an affair with the architect, but rumors are rumors and people will gossip. But then Bayard is found dead with a knife in his chest on the night of their Twelfth Night Ball, Annabelle goes missing, presumed drowned, and the papers go mad. Bay’s sister, Janie, forms an unlikely alliance with a reporter to try to uncover the truth, convinced that Bay would never have killed his wife, that it must be a third party, but the more she learns about her brother and his wife, the more everything she thought she knew about them starts to unravel. Who were her brother and his wife, really? And why did her brother die with the name George on his lips? LAUREN WILLIG is the author of the New York Times bestselling Pink Carnation series and a RITA Award-winner for Best Regency Historical for The Mischief of Mistletoe. She graduated from Yale University, and has a graduate degree in English history from Harvard and a J.D. from Harvard Law School. She lives in New York City, where she now writes full time.